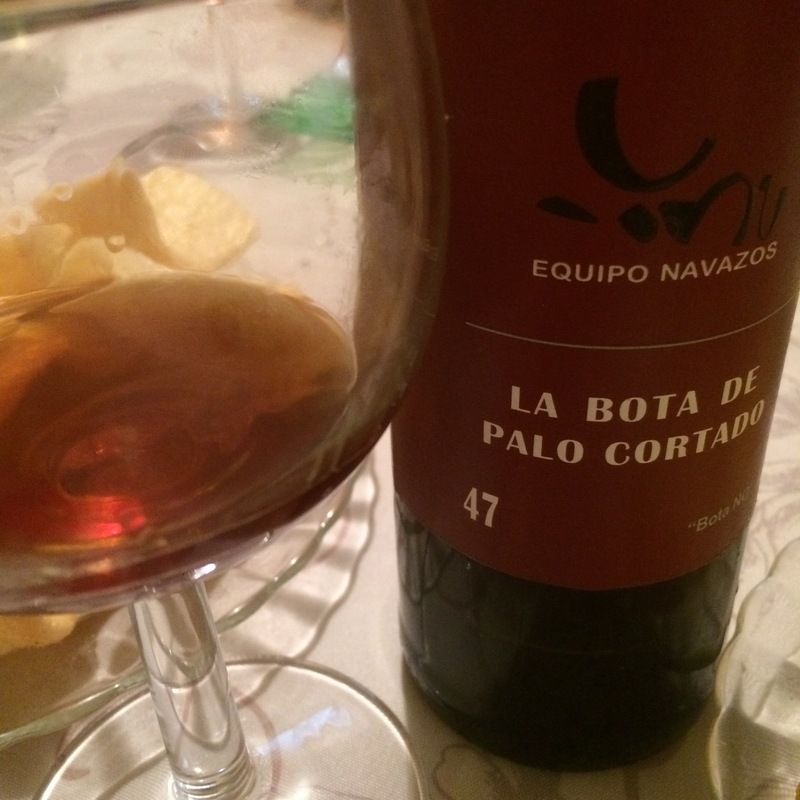 I have had mixed experiences with these but this time I loved this little gem of a palo cortado from Equipo Navazos. As you can see, it was a deep chestnut red (like a very old port, I thought) and slightly murky (which I put down to a 250 km car journey in the morning), with a big nose. Smells for all the world like the furniture in a church – smokey, slightly sweet wood aromas. Also very very woody on the palate. In texture it is not as rich as you maybe expect from such a potent looking wine and being critical, it is not just dry maybe excessively harsh and astringent at first – just an acid bomb first up. Get past the initial shock, though, and it broadens out and is massively long with notes of creamy chocolate and coffee and a very very persistent caramel finish. We tasted it alongside the last of the Bota de Amontillado 49 and it was notably full flavoured by comparison – where the flavours of the 49 were tobacco, leather and dust this was all caramel, burnt caramel and nuts. Went down a bomb on the night – even with a crowd that do not often drink sherry. Excellent.